Have a link and want to transfers files from URL directly to your dropbox ,FTP or Amazon S3 Auto file move helps you to Upload Target Links directly to Dropbox, FTP or you Amazon S3 account. AutoFileMove give you a free trial service (10MB) that allows you to enter the URL of any resource (such as a PDF, document or image) and it will grab the resource and upload it to your Dropbox, FTP or Amazon S3 for you. 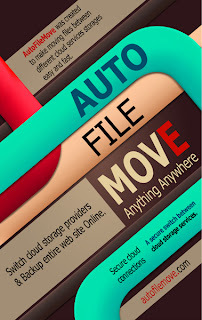 How to use AutoFileMove To transfer any link type to Dropbox, FTP and Amazon s3 directly ? 2. Copy and paste the URL You can start a large download while out from mobile phone, on a company computer at work, or just sitting at an internet cafe. 3. Paste in the URL to the file you want to download to Dropbox, FTP or Amazon s3 and click the Save button. 4. Authenticate your Dropbox account, FTP or Amazon S3.